The MIT Program in Art, Culture and Technology (ACT) is an academic program and hub of critical art practice and discourse. 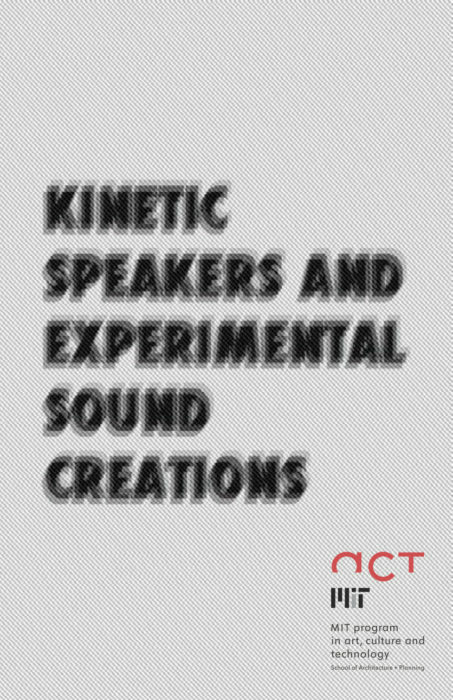 Through an integrated approach to pedagogy, hosting, public event programming, and publication, ACT builds a community of artist-thinkers around the exploration of art’s complex conjunctions with culture and technology. The program’s mission is to promote leadership in critical artistic practice and deployment, developing art as a vital means of experimenting with new registers of knowledge and new modes of valuation and expression; and to continually question what an artistic research and learning environment can be and do. 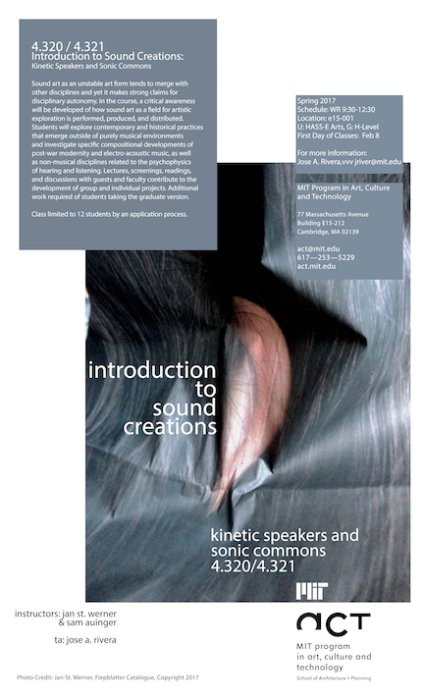 Jan St. Werner’s Kinetic Speakers And Experimental Sound Creations class defines sound as an unstable art form which merges with other disciplines and yet makes strong claims for disciplinary autonomy. 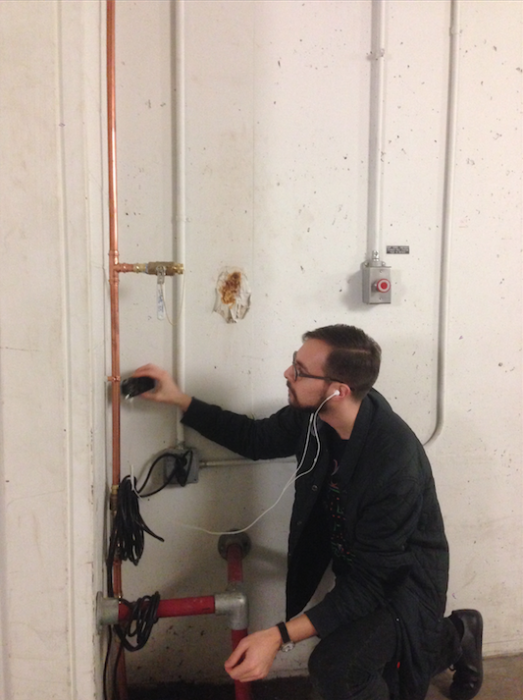 A critical awareness is developed of how sound art as a field for artistic exploration is performed, produced, and distributed. 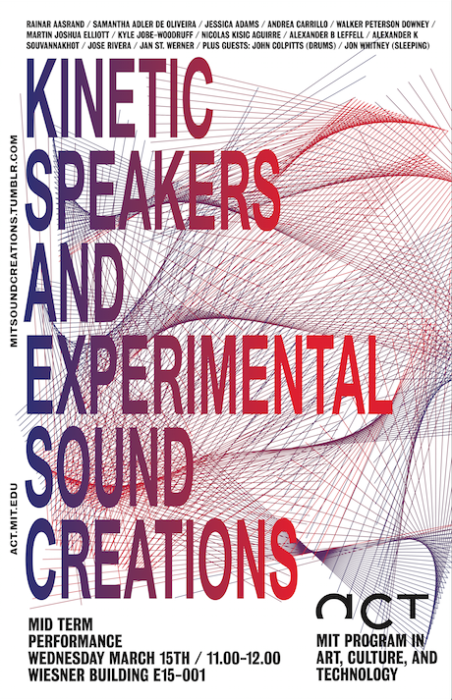 Students explore contemporary and historical practices that emerge outside of purely musical environments and investigate specific compositional developments of post-war modernity and electro-acoustic music, as well as non-musical disciplines related to the psychophysics of hearing and listening. Lectures, screenings, readings, and discussions with guests and faculty contribute to the development of group and individual projects.